Today this beach is known as “Herring Cove”, but during the mid 20th century it was called “New Beach”. The name came from the new Masachussets state highway constructed in the 1920’s, which provided easy access to the beach at the tip of Cape Cod. 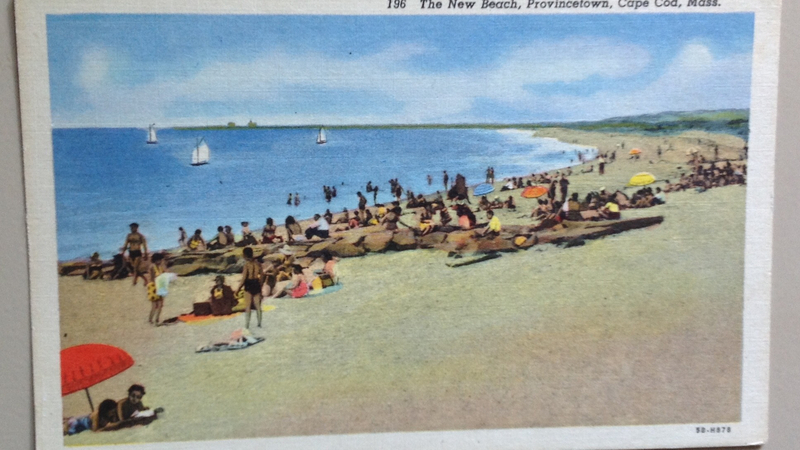 With hundreds of parking spaces, two bathhouses, and a snack bar— by the 1950s New Beach was a popular tourist attraction to visitors who wanted to enjoy a swim, regardless of the tide schedule. In 1962 the National Park Service took over ownership and management of this popular beach and renamed it Herring Cove– the original name of the shoreline popular with fisherman. Beach grass was planted to try and slow erosion, but it’s been a losing battle. Wave action, rising seas, and shifting sands have created havoc with the parking area of this beach long popular with nature lovers and nudists who have enjoyed the solitude afforded by the expansive dune landscape. Certainly the characters in Remaining in Provincetown frequent Herring Cove Beach a beautiful spot for watching the sunset. It might even be a spot to hide a murder weapon or to bid a last good-bye. 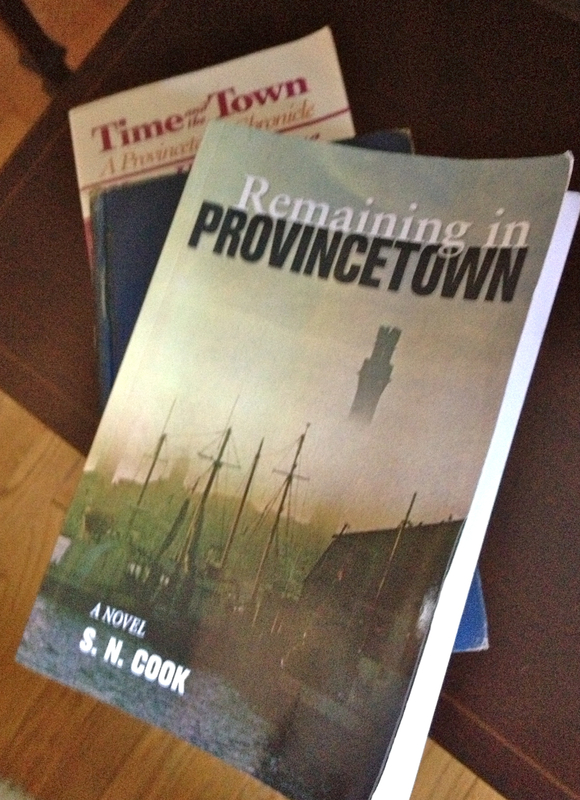 Haven’t read the mystery novel Remaining in Provincetown by S.N. Cook? Autographed copies are available at The Provincetown Bookshop or buy a copy in trade paperback or as an ebook online. Like us on Facebook and keep the conversation going. What a great view at sunset, high atop Corn Hill in Truro, you can look down on Cape Cod Bay and the Pamet River. The site of Corn Hill is famous, because this is the location where a search party from The Mayflower while docked in Provincetown Harbor found the Indian’s winter stash of corn (November 15, 1620). 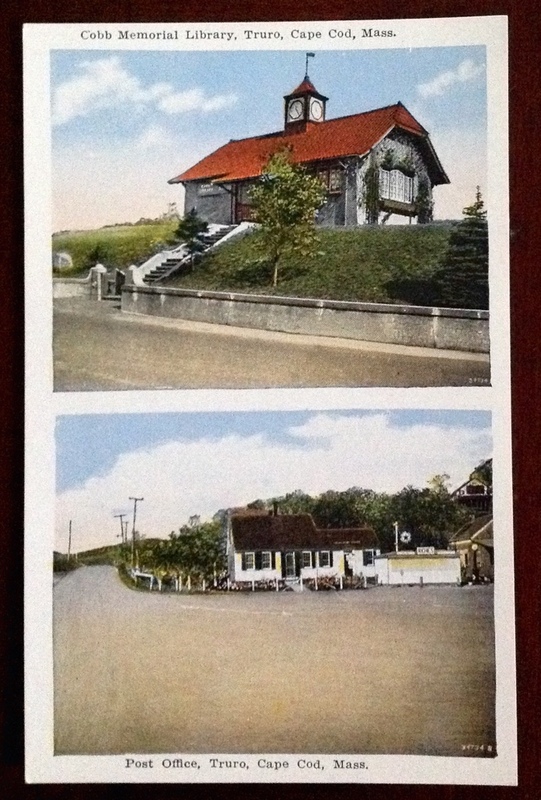 There is a monument marker that tells the story at the base of the hill and at the top of the hill, are what were once the original Corn Hill Cottages as shown in this postcard, built in 1900. 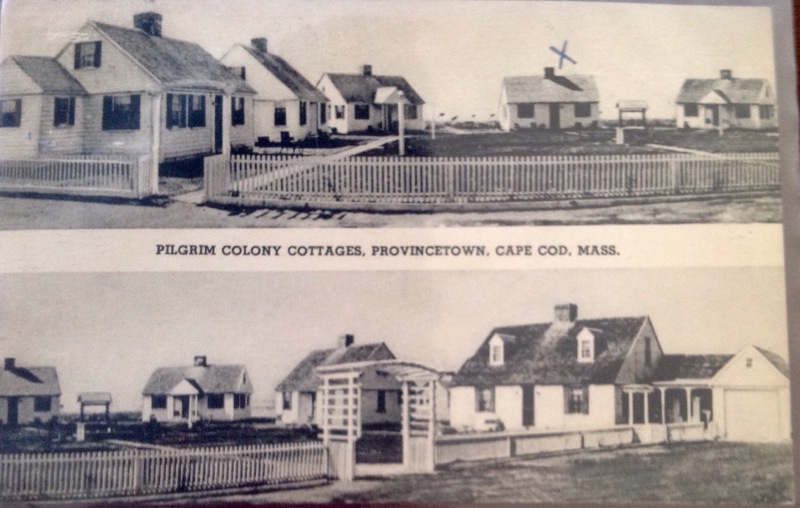 Originally there were two rows of cottages, but a fire in 1937 destroyed the lower row of cottages and they were never rebuilt. A great deal of modernization as taken place to the entire area with the addition of luxury homes that populate the once rustic area, but look closely if you take a walk in the area and you can get a glimpse of the older architecture. Not too far from Provincetown, Corn Hill Beach and the Pamet are near some of the action takes place in the sequel to the murder mystery Remaining in Provincetown by S.N. Cook. Haven’t read the first book yet? Autographed copies are available at the Provincetown Book Shop on Commercial Street and are also available online in trade paperback and as an ebook. Like us on Facebook and keep the conversation going. At one time, there were so many downed vessels off the coast near the town we now know as Truro, it was known as Dangerfield. The name Truro was borrowed from a Cornish town that looks similar– the rolling hills and small village. There is plenty of danger taking place in the sequel to the popular mystery Remaining in Provincetown by S.N. Cook. Set in Truro during the summer, the landmarks of Truro figure prominently in the story line. 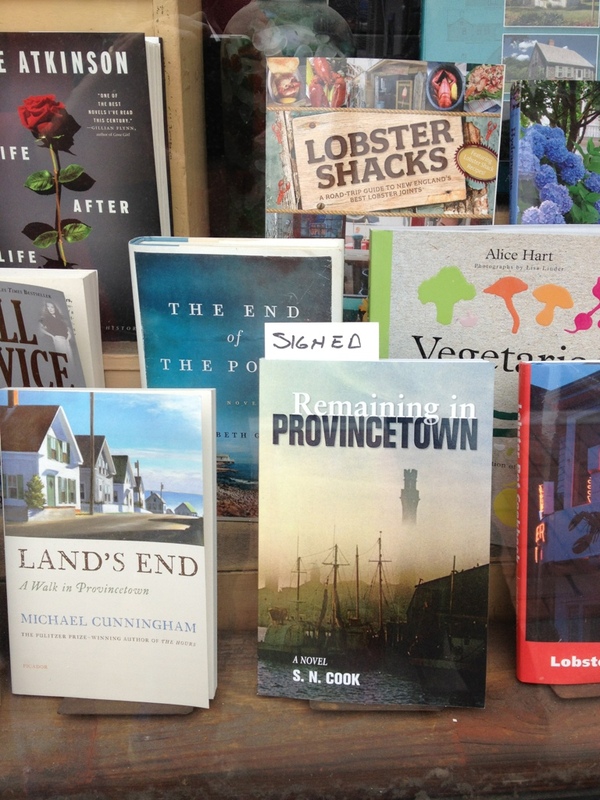 Haven’t read Remaining in Provincetown yet? Autographed copies are available at The Provincetown Book Shop and online in trade paperback and as an ebook. Like our facebook page. 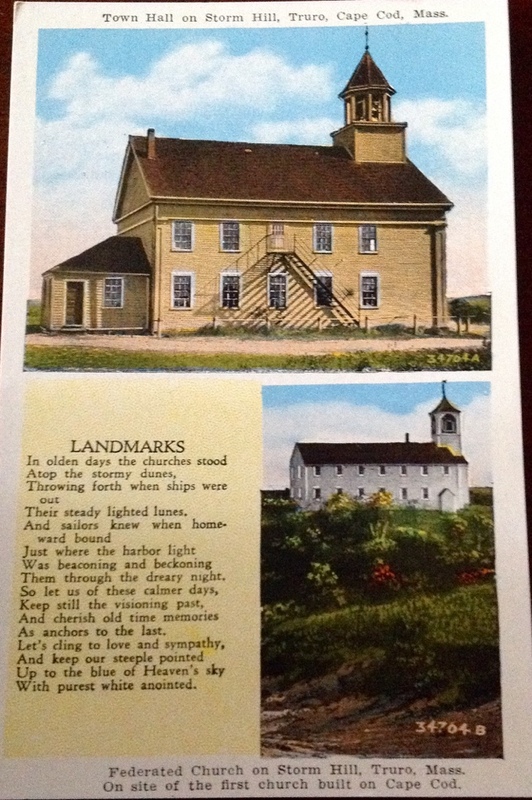 The antique postcard shown in this blog post, shows Truro Town Hall and Federated Church on Storm Hill in Truro. The cemetery has tombstones dating back to the 1700s. 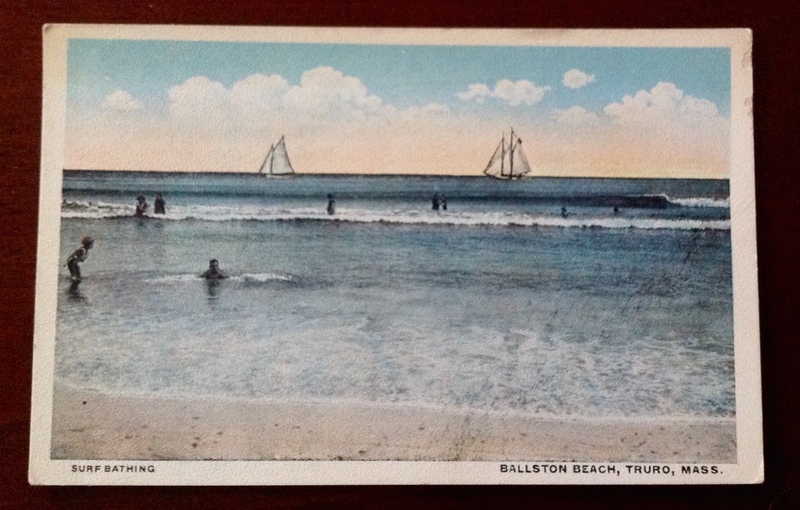 A color lithograph print, the card was published when it only cost one penny to mail a postcard in the United States. 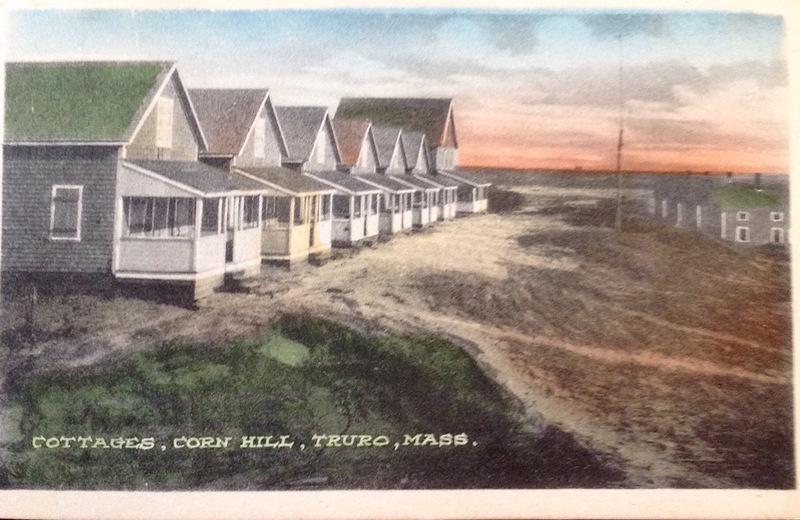 Sladeseville, Truro, Cape Cod, Mass. At the time this postcard was published, the Truro Center for the Arts at Castle Hill had not yet been founded and there were fewer houses along Castle Road, but the title of this postcard is Sladesville and that is the focus of this picture. 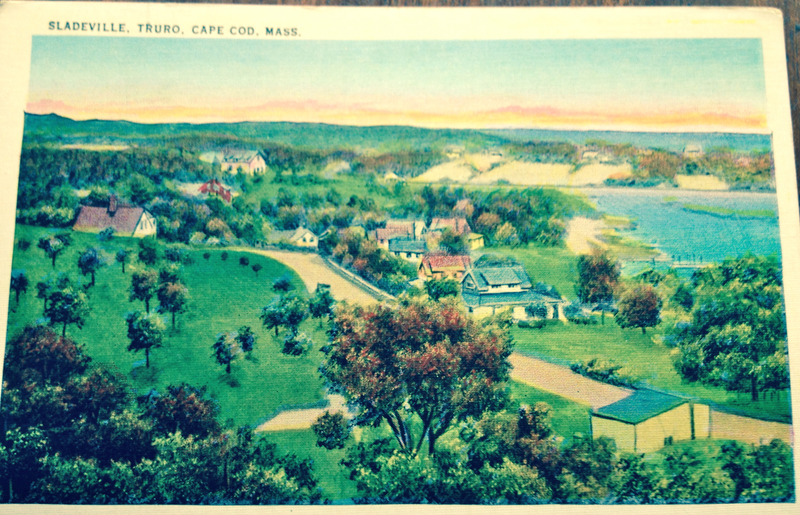 Probably printed just before The Great Depression, this illustration captures the beauty of the Pamet and the Cape Cod Bay and even throws in a sunset. Its not too far from this spot, that much of the story of the sequel to Remaining in Provincetown takes place. The characters often drive along Caste Road and the group of rental cottages that were built in 1925 by artist C. Arnold Slade. So who was C. Arnold Slade? A Massachusetts native and graduate of Brown University, Slade studied at the Art Student’s League in New York City under Louis Loeb and Frank Dumond. He also studied in Paris and enjoyed early success as an artist. According to art historian Julie Carlson Eldred, Slade first spent a winter in Truro in 1914, and summered there sporadically from 1920. In 1925 he purchased Truro’s first Methodist meeting house, built in 1826, and had it dismantled and reconstructed on what was known at the time as “Savage Point”. The former church was used to build a structure that served as both a studio and an exhibition space. If you go to “Sladesville” today, no longer owned by the Slade family, you will also see a red house, where the Slades lived, which was called Roselea. During the 1930s and 40s C. Arnold Slade enjoyed a successful career as a portrait painter and painted the likenesses of many dignitaries. He died in 1961. The story sequel, set in Truro, takes places in approximately 1992. Haven’t read Remaining in Provincetown yet? You can buy a copy, at The Provincetown Bookshop or you can purchase a trade paperback or ebook online. 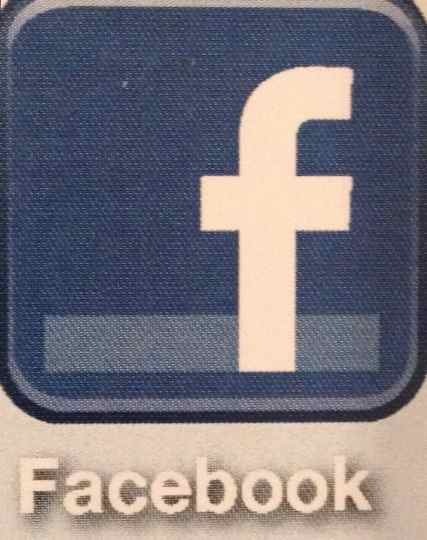 Please like us on Facebook and keep the conversation going.